Actually these are grandmas cookies. My husbands grandma Phyllis, that is. This is her cookie order for the week not her recipe thu. Her and grandpa love cookies. I try to at least three times a month to make them both cookies. If I ask grandpa what his cookie order is without asking grandma first she’ll give me the “stink eye” so I’ve learned to ask her first from now on! Grandma Phyllis usually picks the same two cookies for her order every time. 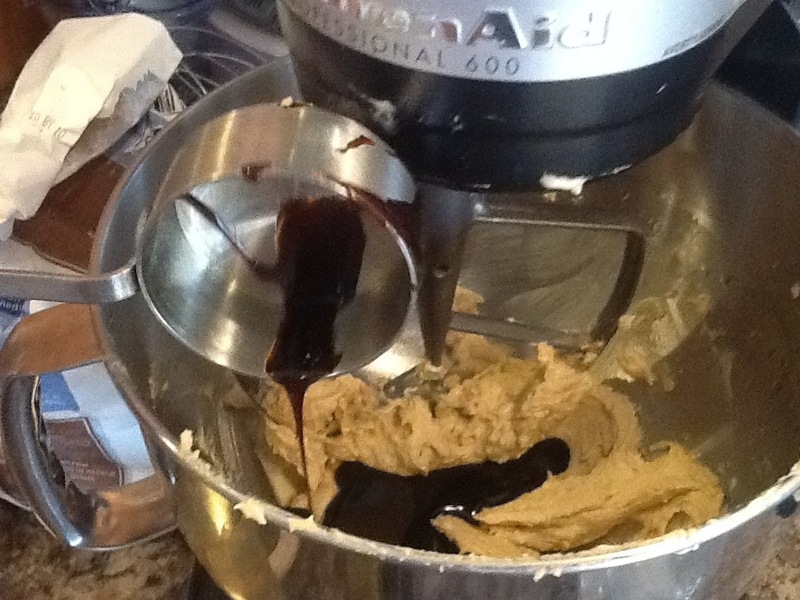 Molasses or White Chocolate Chip cookies. But, this time she couldn’t decide, so I decided for her. I put the two favorites together. And this is how they turned out, and this is what she got! She loved them. SSShhhewww! 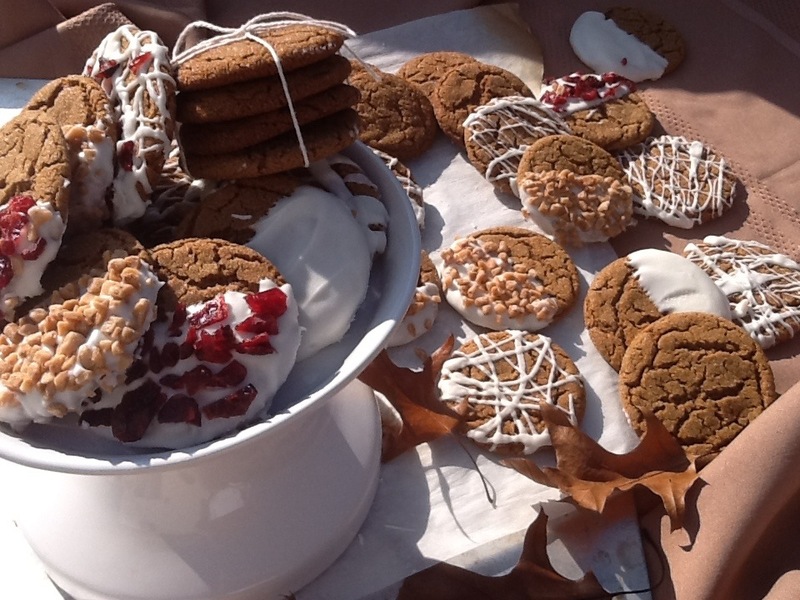 I started gathering my recipes for Thanksgiving and Christmas baking, and I love it! The cooler weather and all of the holiday baking supplies on the store shelves are so intriguing to want to use. So, adding the chopped cranberries on top of the white chocolate doesn’t only scream Christmas its delicious too! 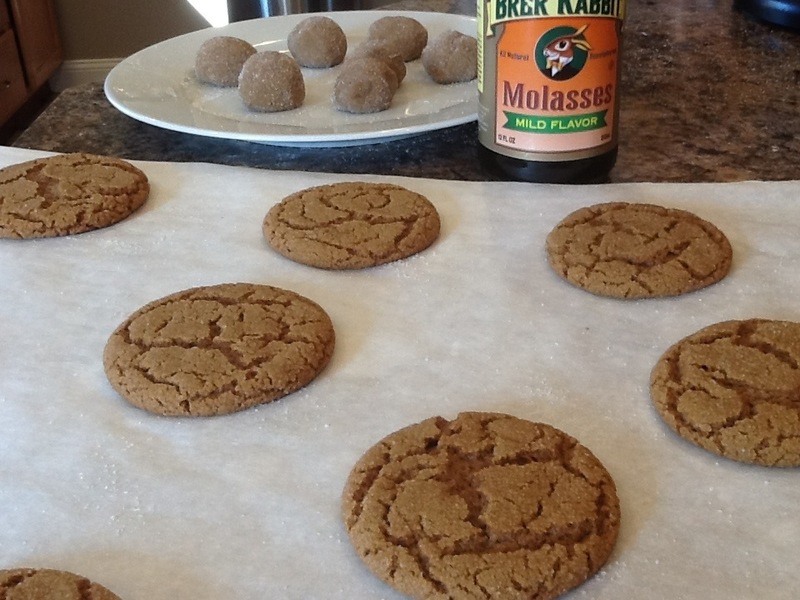 Using dark brown sugar instead of light in this recipe makes for a slightly chewy cookie along with it being a more traditional dark colored molasses cookie. The adding of the oil also adds to the chewiness. I thought it was strange at first but, it turns out to be quite a lovely textured cookie. 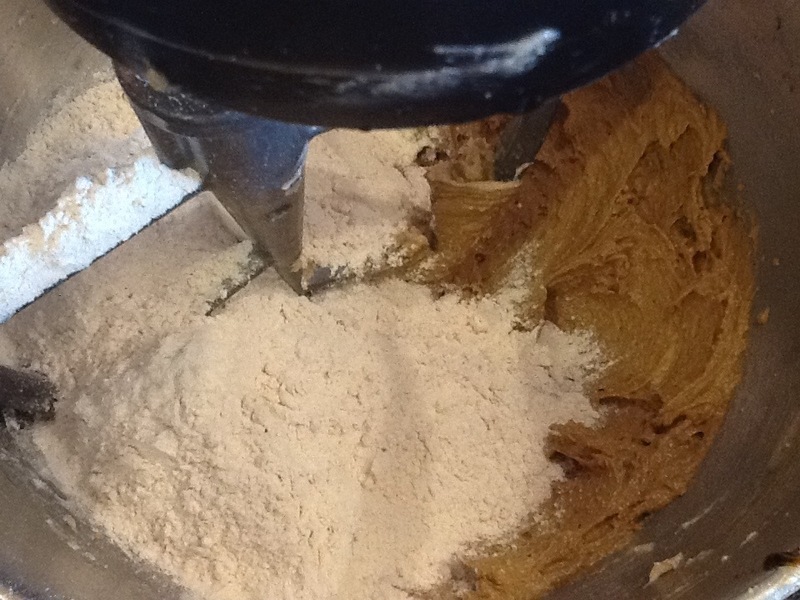 The traditional start to every cookie, cream the butter and sugars together. I only had light brown sugar. Still a fantastic cookie with light brown sugar! Don’t make a special trip to the store especially if you have a 3 year old like me! Don’t over bake! For a chewy/soft cookie remove cookies from the oven right before they look completely set in the middle. Let cool completely and dip or drizzle with white chocolate. Add, chopped cherries and toffee pieces. Enjoy! Oh, my lands! That’s an old fashion expression for an updated cookie! *Makes about 3 dozen cookies. 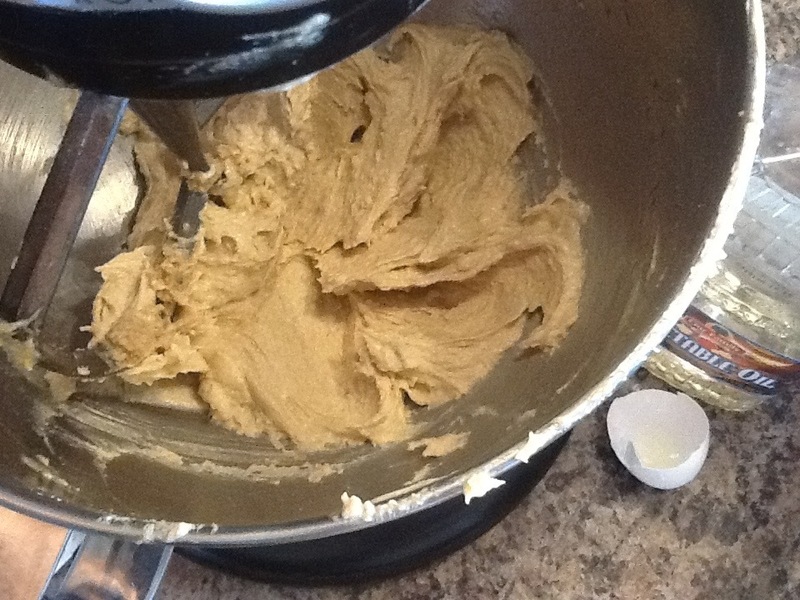 In the bowl of your electric mixer (or with a hand mixer), beat the butter and sugar until light and fluffy (about 2 – 3 minutes). Add the oil, molasses, egg, and vanilla extract and beat until incorporated. Beat in the flour mixture mixture until well incorporated. Cover and chill the batter until firm (about 2 hours or overnight). I don’t follow this rule all the time! 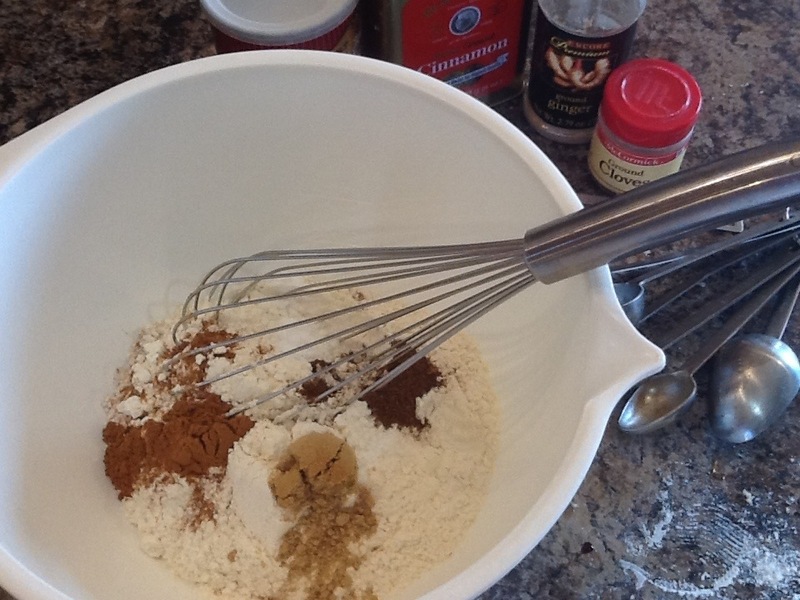 Place about 1 cup of white granulated sugar in a medium sized bowl. When the dough has chilled sufficiently, roll into about 1 inch balls. 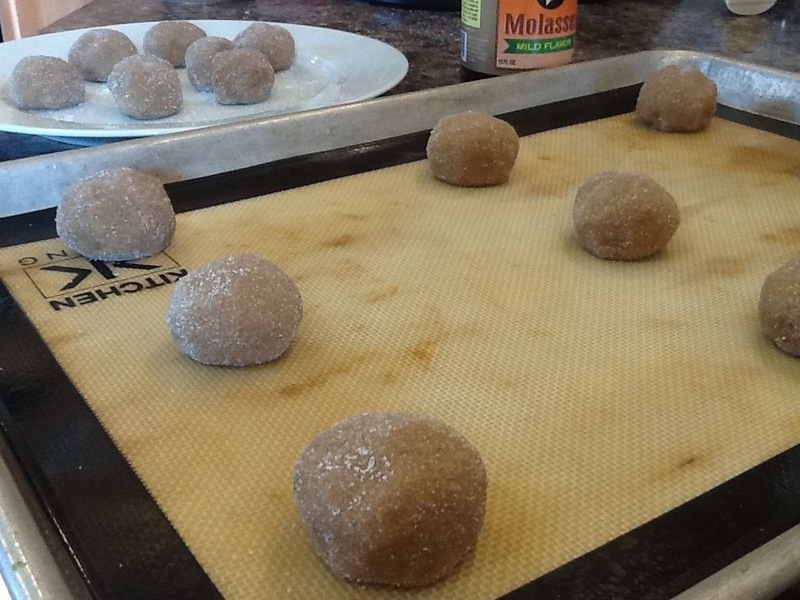 Then roll the balls of dough into the sugar, coating them thoroughly. Place on the baking sheet, spacing about 2 inches apart. 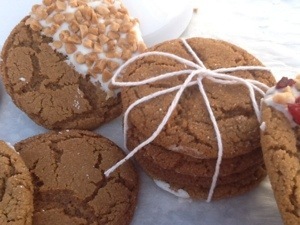 Bake for about 9 – 10 minutes, or until the tops of the cookies have crinkles yet are barely dry. (They should look a little underdone.) Remove from oven and cool on a wire rack. Melt your dipping chocolate and dip or drizzle the cookies however you please. Add the chopped cherries and toffee when the chocolate is still wet. Let the chocolate harden completely before storing in a air tight container for up to a week. Who lets cookies hang around for a week?!?! Recipe adapted from: The Best of Fine Cooking ‘Cookies’ Magazine. Oh, for the love of Phyllis — me lovem’ cookies – Go Phyllis, GRANDPA!, and Tahny!! 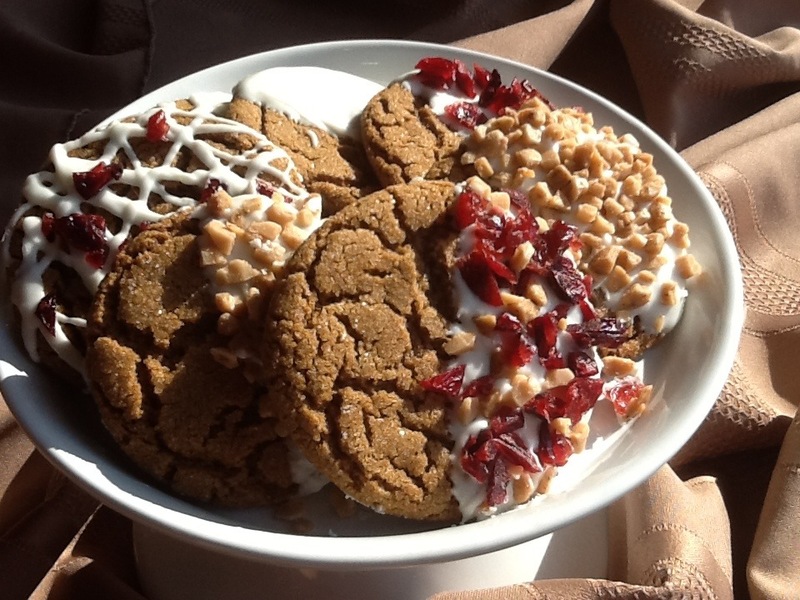 This is definitely a stepped-up molasses cookie! Cheers to my fav. blogger, chef, caterer!! !